This is what is referred to as a major #FAIL. Have your social media team fact check before they send out a stream of tweets. 1-Lisa Adams died. Seven months ago. 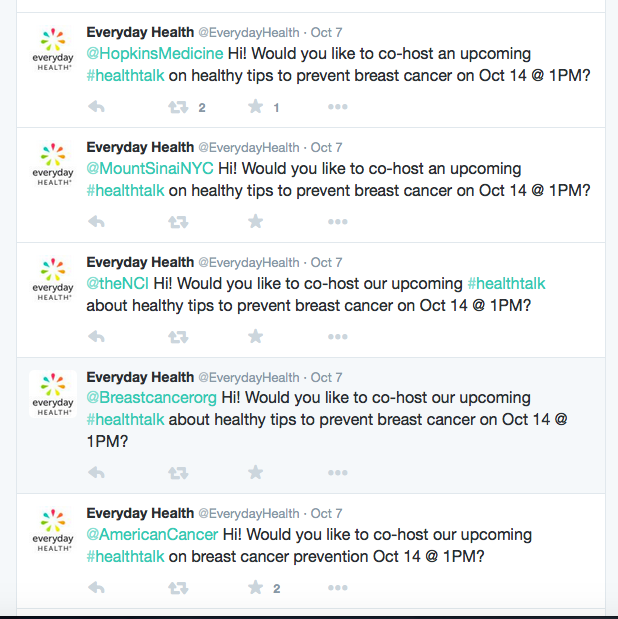 In fact, your tweet inviting her to co-host your upcoming health talk was sent one day shy of the seventh month anniversary of her death on March 6, 2015. 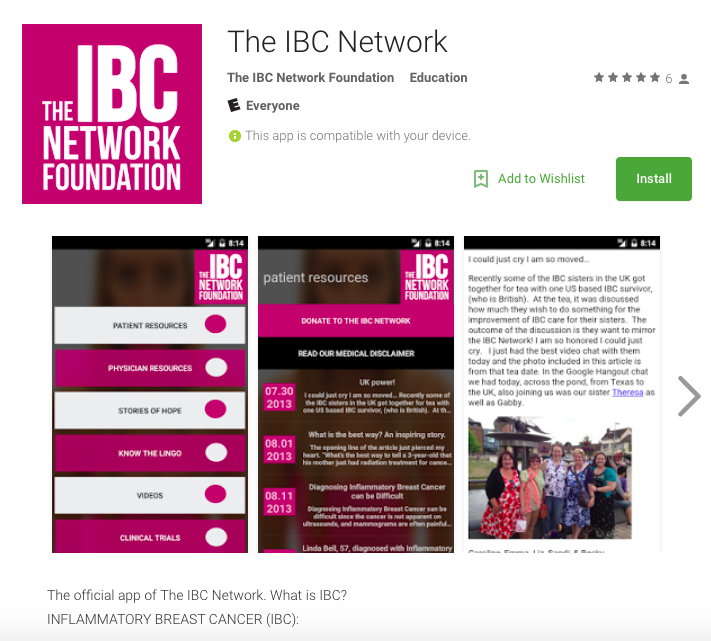 2-There is no way to prevent breast cancer. No matter how many healthy tips you plan on discussing, the best we can do is engage in risk reducing behaviors. And, for those who do everything right and still develop ANY type of cancer, know this. Every and any behavior you can think of to "prevent cancer" only controls about 30% in this fairy tale world of prevention. In other words, the other 70% is a crap shoot. We really have little control and tossing around the word prevent is a bit like the blame game. Not a fan. At. All. 3-The list of tweets started out with some solid invitations. Places that should be dispensing of advice. Hopkins, Mt Sinai Hospital, American Cancer Society, National Cancer Institute, breastcancer.org. And then, it went completely awry. Celebrities? Seriously??? I can think of no WORSE place to get medical information than from the mouth of a celebrity. What are their qualifications? Using their "star status" to raise awareness of the disease?? Can they share tips and tricks to help us get through a day? With many resources and often a cohort of people to assist them in their every need, hearing about their reality may not be too helpful for those of us who reside in a very different world than those with "star status." We're aware. What we need is education about the facts. Just a few facts: Early detection is no guarantee the disease will not spread and become a terminal illness. There are 110 deaths each day in this country attributable to breast cancer. That number hasn't changed much in over 40 years. And the average life expectancy once diagnosed with metastatic disease hasn't changed much either. If I remember the words of a very prominent and well-respected researcher from the NCI, "ten years of research and we've only extended the life expectancy by six months." I'd like to make a suggestion. 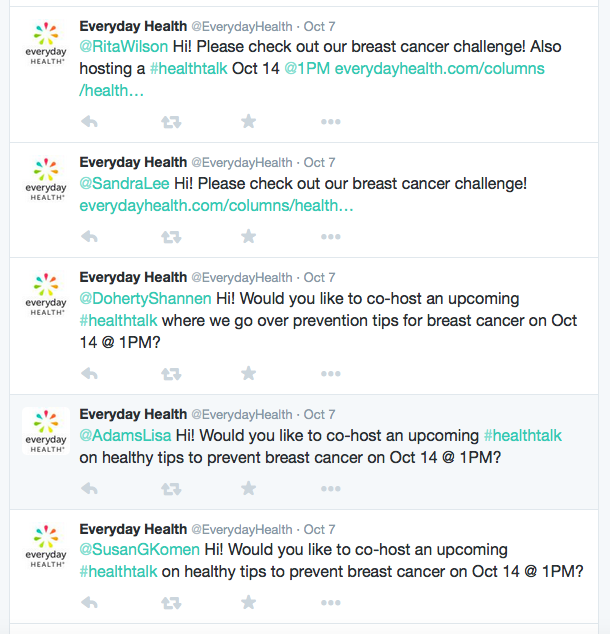 How about having a #healthtalk on October 14th about metastatic breast cancer? As for the invitation to SusanGKomen, maybe we can start by asking why they have a need for dispensing salaries in excess of 100K to 44 of their employees? I understand it costs money to run an organization as large as Komen but I'm struggling to figure out why so many people are earning six figure salaries. What about the millions they spend on lobbying? I'm pretty sure when people donate money, they want to see it put into the hands of researchers or to those in need of financial assistance or help with their kids or rides to their chemo appointments. It appears from the latest tax returns, somewhere between 6 and 10 MILLION donated dollars are on those two line items. That's a substantial amount of money. I'm not taking a jab or looking to start a Komen bash, I just wanted to raise a little awareness and present a fact or two of my own. This tweet is hurtful. I'm quite sure Lisa would have loved to accept your invitation and I'm sure those of us who had a special bond with her would have loved to hear her voice just once more. Jumping on the pink bandwagon without doing just a bit of homework first? Definitely a tad bit irresponsible.